It’s encouraging to see more leaders identify connection as a primary factor contributing to their organization’s sustained success. Fortune magazine recently recognized Theo Epstein, President, Baseball Operations for the Chicago Cubs of Major League Baseball and the Cubs organization, as #1 on its world’s greatest leaders list. Last year the Cubs won the World Series and broke the franchise’s 108-year World Series title drought, the longest in professional sports. Previously I’ve written about Cubs manager Joe Maddon and the Chicago Cubs’ Connection Culture. In a future article I will present a detailed description of the Cubs’ Connection Culture based on Verducci’s observations in The Cubs Way. For now I’d like to focus on a pattern I’m seeing. As I read through Fortune’s world’s greatest leaders list, it jumped out at me that a number of the top leaders recognized are intentional connectors who create Connection Cultures. For example, note that the #3 rated leader is Pope Francis who is well known for being intentional about connecting with people and, I believe, is working to create a Connection Culture in the Catholic Church. The #4 rated leader is Melinda Gates who is without doubt an intentional connector. I highly recommend watching Ms. Gates’ outstanding commencement speech at Duke University, her alma mater, in which she describes the importance of connection to thrive in life. In many fields, leaders and thought leaders are discovering the superpower of connection. Consider healthcare. Kate Otto, author of Everyday Ambassador and co-founder of the organization Everyday Ambassador, recently wrote an outstanding article published in Clinical Correlations: The New York University Langone Online Journal of Medicine. Ms. Otto makes the case that the scientific research shows how damaging chronic loneliness is to health so physicians should be looking for signs of it in their patients. She recommends that physicians on the front lines of medicine inquire about a patient’s state of social connection by asking questions such as “Do you live alone? Who will visit you here in the hospital? With whom do you share your private worries and fears? How much of your week do you spend with other people?” She goes on to recommend developing therapeutic relationships that include empathizing with patients. Are You Tapping Your Superpower? I frequently note that Matthew Lieberman, the University of California at Los Angeles neuroscientist and author of Social,describes connection as a superpower that makes you smarter, happier and more productive. This raises the question: Are you tapping into your superpower of connection? Research confirms that most people are not. The former U.S. Surgeon General, Dr. Vivek Murthy, said the most common illness today is a lack of connection. This is unlikely to change, given current trends and the rise of social media and remote work. Francis Collins, Director of the National Institutes of Health, recently wrote about research that showed social media was making us lonelier. The rise of remote work is contributing to loneliness too. 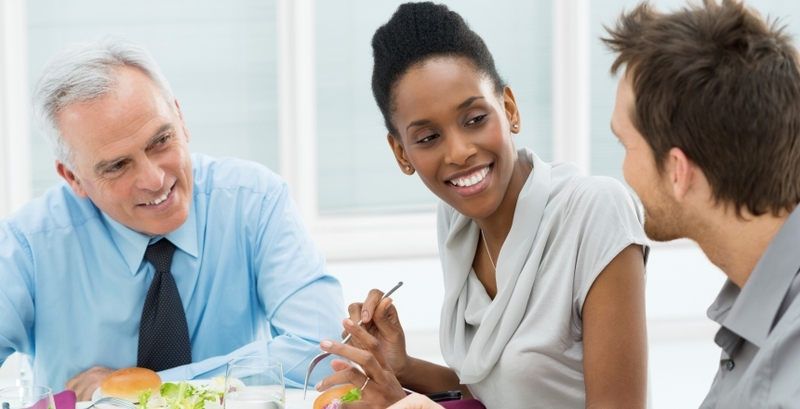 Is Your Team and Organization Tapping Its Superpower? Connection is also a superpower for teams and organizations because it boosts employee engagement, strategic alignment, productivity and innovation. Most teams and organizations are not tapping into their superpower of connection. Gallup research shows two-thirds of American workers don’t feel connected at work. encourage people to talk to you, especially about their problems. These are just a few ways to connect. 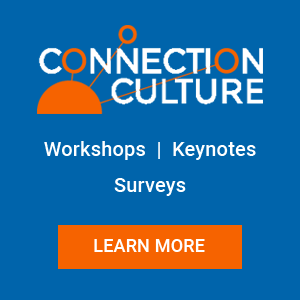 We’ve previously recommended each of these on ConnectionCulture.com plus many additional practices which are also described in our book, Connection Culture: The Competitive Advantage of Shared Identity, Empathy and Understanding at Work, and free e-book, 100 Ways to Connect. Although the decline of connection in modern society may seem depressing to some, I want you to see it as an opportunity. By increasing connection in your life and the lives of your family, friends and colleagues, you will thrive and improve the lives of those around you. By promoting connection in your organization, you will be boosting its performance and contribution to society. 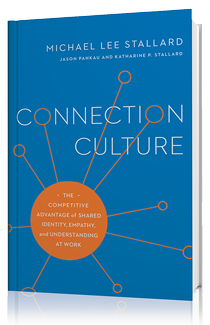 To get the conversation started on the importance of boosting connection in your organization and how to go about it, why not establish a book group to read Connection Culture? 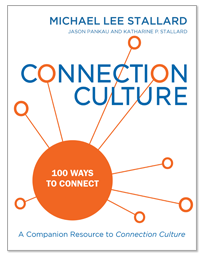 If you are one of the first 15 people to contact me at mstallard@epluribuspartners.com and order a minimum of 20 copies of Connection Culture directly from me, I will participate in a 30-minute conference call with your book group participants at a date and time in 2017 to be mutually agreed upon. This offer only applies through June 15. Mark this day, connect more with others and watch what happens. I promise that over time, you will see that connection affects much more than the bottom line. As you experience greater peace, hope and joy that comes from having an abundance of connection in your life, you will have discover wealth of even greater value.